Welcome to Episode 31! This week’s conversation is with Jon McWhorter. 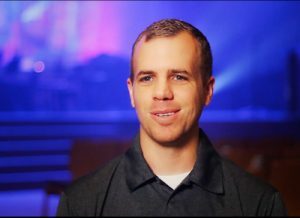 Jon is an Associate Pastor at Orangecrest Community Church in Riverside, CA. He has been on staff at OCC since February 2016 and brings a fresh perspective as someone who has recently made the transition from business in to full-time vocational ministry. What has God done up to this point? Look at the road behind me. Go to the Scriptures to see what God’s word says. There is a difference between something that is true and something that is real in your life. Take time and really think through things. Join me next week for Episode 32, where I share a recent message I gave at Hope Church in Fort Worth, TX on how to make wise decisions.